- UCF is 10-5 against the spread (ATS) in road or neutral-site games this season. - UCF is 3-3 ATS as an underdog this season. - UCF 3-2 ATS as a road underdog this season. - Duke is 9-9 ATS in road or neutral-site games this season. 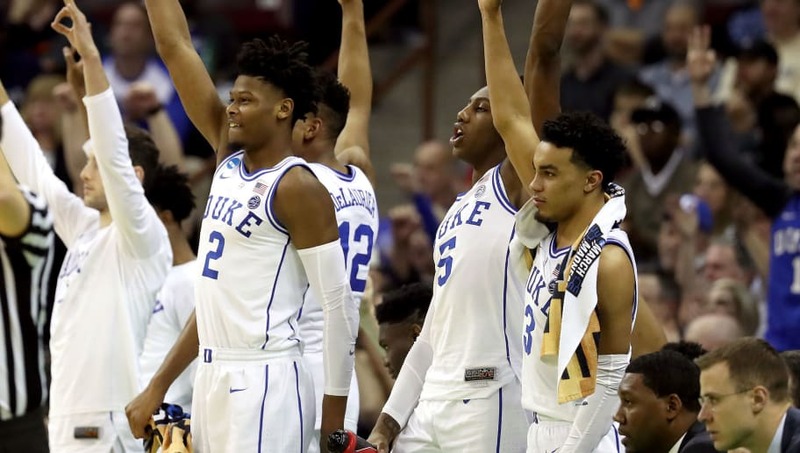 - Duke is 7-8 ATS as a favorite on the road or in neutral-site games this season. 6-foot-7, 285 lbs. vs. 7-foot-6, 310 lbs. All UCF vs Duke betting odds, lines and props available on FanDuel Sportsbook. - Home Team (Duke) Total Points: Under 78 (-110) – Duke might have had the nation's sixth-best offense this season, scoring 83.5 points per game, but it never had to go up against a player like 7' 6" Tacko Fall of UCF. The Knights' center averages 2.6 blocks per game and has the ability to affect almost every shot in the paint. His presence will inherently force Duke to take more jump shots and 3-pointers. And ​Duke is not a good 3-point shooting team. The Blue Devils shoot 30.5 percent from beyond the arc, one of the worst percentages in the nation.